An official's job is often not the most enviable, but for 31 seasons Bob Brodbeck proved an exception to that theory. Throughout both his football and basketball officiating careers, Brodbeck was one of the best known and respected officials in the country. On the football side of his career, Brodbeck worked for 14 seasons in the Big Ten (he was on the 1973 Rose Bowl crew) eight seasons in the Missouri Valley, ten years in the Illinois College Conference, and 26 years in the College Conference of Illinois and Wisconsin. And as a basketball official, Brodbeck had long careers in these four college conferences as well as the National Industrial Basketball League. 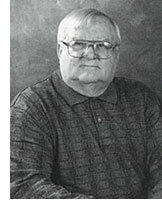 Brodbeck officiated many high school and college tournaments, among them the 1976 NCAA Division II finals, the 1963 NCAA sub-regional playoffs, and the 1962 NCAA Western regional.